Sinusitis is an inflammation of the paranasal sinuses. The condition may be caused by bacteria or it may occur as a complication of the common cold or a viral infection striking the upper respiratory tract. It most often occurs in the fall, winter or spring. Symptoms of bacterial sinusitis include fever, chills, pain and tenderness of the infected sinuses. The area above the sinus may be swollen and red and in some cases the teeth and jaw bones may ache. Since the infection is usually caused by bacteria, it must be treated with antibiotics. Sinusitis is a painful infection that affects the sinuses and is usually treated with antibiotics. 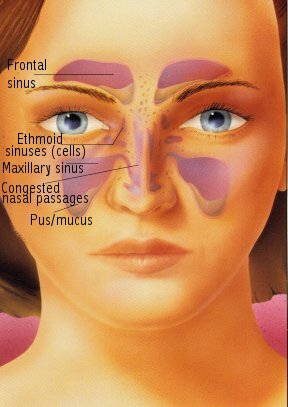 Sinusitis is an acute or chronic inflammation of the sinuses. Sinusitis is more common in children than adults. A recent study revealed that the incidence of this condition was higher in children than any other reported chronic condition. Chronic sinusitis is being diagnosed with increasing frequency because of newer diagnostic procedures. Although the fall, winter and spring are the usual time of year when sinusitis occurs, the infection may also occur in the summer months and is often linked to swimming and diving activities. The most common cause of sinusitis is a viral infection of the upper respiratory tract, which may lead to a blockage of the paranasal sinuses. The inflamed sinuses may be painful, tender to the touch and a low-grade fever may develop. If these symptoms do not disappear when the viral infection clears up, a bacterial infection may develop, with white or greenish yellow mucus as a hallmark. Symptoms of bacterial sinusitis include fever, chills, pain and tenderness of the infected sinuses, nasal obstruction and severe headaches. Often the headaches may ease with a change in position. 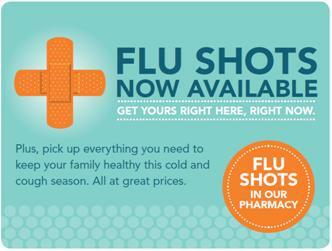 Other causes for sinus infections include an injury or trauma to the area, a tumor, or an infected tooth. ACUTE BACTERIAL SINUSITIS occurs after an episode of sinus congestion and clears after treatment with antibiotics. CHRONIC SINUSITIS syndrome often occurs in persons with allergies and long-standing nasal congestion or in patients with untreated or inadequately treated acute sinusitis. These patients are often constantly exposed to irritants, such as tobacco smoke. In order to treat the chronic sinus inflammation, the source of the irritation must be removed and/or the allergy treated. The symptoms of chronic sinusitis are similar to acute bacterial infection. If the infection becomes prolonged, surgical drainage of the sinus may be necessary. A serious complication, such as an infection of the frontal bone, bacterial meningitis or a brain abscess, may occur. Treatment of Sinusitis: An x-ray of the sinuses may be helpful in diagnosing acute bacterial sinusitis. If your doctor determines you have a sinus infection, oral antibiotics will be used to effectively treat an infection due to bacteria. If recurrent sinus infections occur and are not adequately treated by antibiotics, other causes for the infections may be investigated. It is important to finish the entire course of antibiotics as prescribed by your doctor in order to adequately treat the infection and prevent it from recurring. Acetaminophen is most commonly used to treat sinus headaches associated with infection, although in some patients a more powerful medication may be prescribed. Your doctor or pharmacist can recommend the proper product for your condition and explain the safest and most effective way to use it.